If I’ve acted as though being home with (and entertaining and cleaning up after) my kids for a full two weeks before school begins is brave, I apologize. It’s not really brave. It’s hard. It’s tiring. It’s intense. It’s a lot of things, actually, but heroic? That it is not. 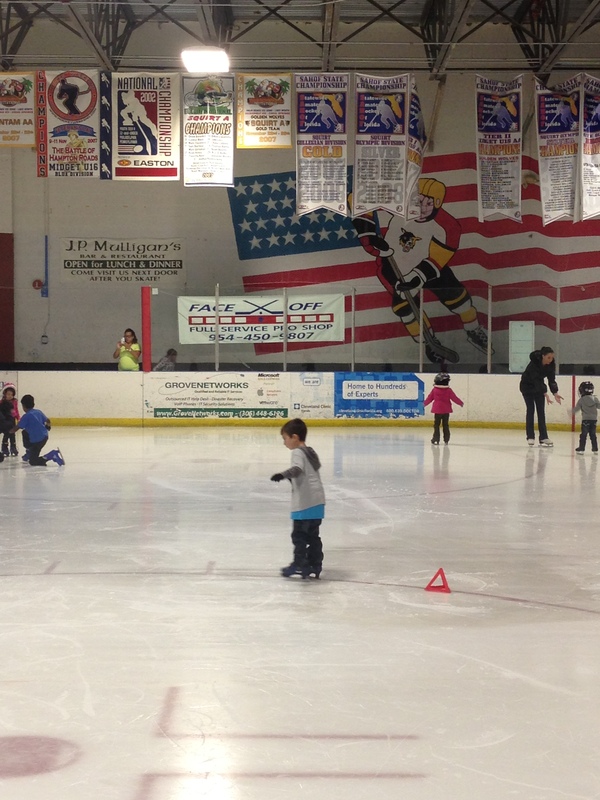 His first official ice skating lesson. He tried so hard to be the best student in the class, and I tell you, he was fearless. Holy smokes! 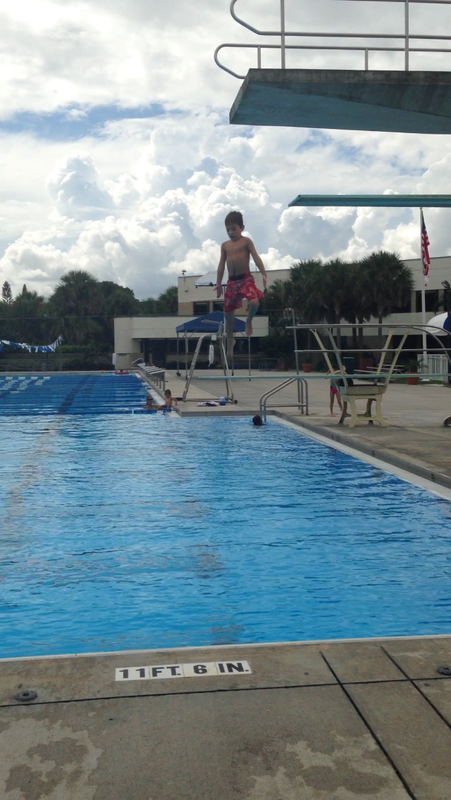 I never would’ve jumped from a diving board this high at six. I’m not even sure I would do it now at 37. And there have been other little nuggets of bravery this week captured not on camera but in my heart. At his Wednesday afternoon haircut, he let the stylist use the hair dryer for the first time, and that evening, he ate a strawberry. How are your kids brave?